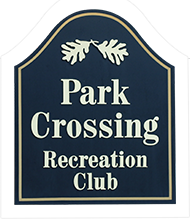 Every summer, parents are looking for ways to enrich their children and PCRC offers a great Tennis Summer camp. 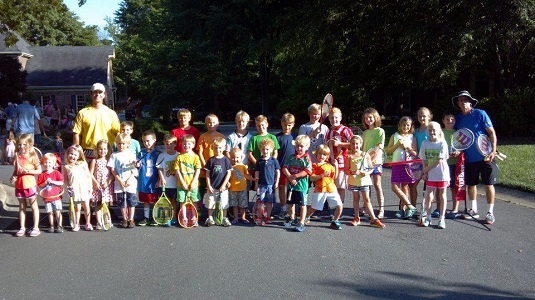 With ten summer sessions, many are still packed sessions because we do more than just tennis. There's a clear focus on tennis, but the participants also enjoy a variety of games and swimming. All of our tennis instructors are involved and bring a breadth and depth of experience not easily found with a local association. Todd and and Brett supervise the camps and design the camp schedule based on their years of experience working with children of all ages. Contact Todd Upchurch for more details. Most children try soccer but many don't continue with this great sport because they don't receive the exceptional training from someone that has played at the professional level. 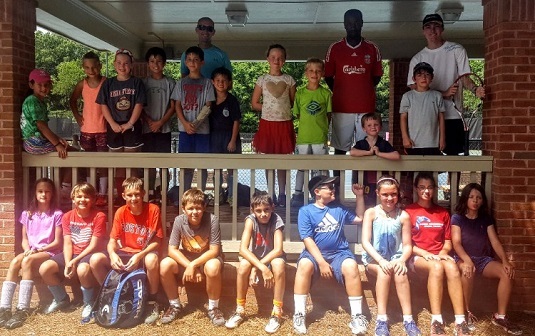 Coach Joseph is a former member of the Zimbabwe National Team and a Carolina Rail Hawks and Charlotte Eagles player. He emphasizes skill-building through exercises and creative, fun, soccer-based activities. Drills help hone their skills and build confidence while the scrimmages emphasize team play and allow them to practice what they've learned. Kids of all skill levels are encouraged to attend as all will improve from his teachings. 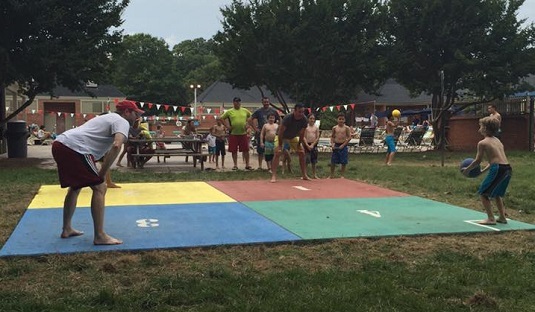 Adult swim used to involve getting an ice cream but we found a healthy alternative in 4-Square. More kids are lining up to play this traditional game with subtle nuances than any other activity we've ever had. Farley and Associates construction (704-634-9495) donated this fantastic court with the precision of a tennis court, a testament to the great grip even when your feet are wet. It's just another example of a community member, helping the community with their expertise and creating a great new addition to PCRC. Once a year, the Tennis Pro's take their instruction and equipment to a Park Crossing culdesac. It's a great way to make the game of tennis less intimidating to youngsters and make it just a unique experience that has piqued the interest of many future tennis enthusiasts. They turn the culdesac into a complex of tiny courts and then give children the basics of tennis. It's fun, creative and an engaging event for all. Contact Todd Upchurch for more details.